Domain names are unique assets that act as functional tools to provide the digital foundation for business, branding and marketing simultaneously. Domain names and the Internet together are now the primary interface between customer and business owner in our new digital age. Each computer on the Internet has an Internet protocol (IP) address: a unique string of numbers separated by periods, such as 165.166.0.2. Since remembering the IP addresses of all of your favorite Websites would be nearly impossible, a group of computer scientists created the domain name system to assign a unique name to each numeric IP address. But domain names are much more than just a technical shortcut. A memorable domain name can make the difference between creating a successful Web presence and getting lost in cyberspace. The power of domain names. A domain name is the intangible and essential connection between the real world and the Internet. No real business on earth can start today without a domain. Arguably, the single most important decision for a new company is their name. The second most important decision is having the .com of that name. Dot com is the gold standard of the Internet. With a quality .com domain name you can be seen as the respected authority of an applicable product, service, brand or message. Global recognition and unmatched security, stability and reliability lends instant credibility to brands with a .com domain name. Solid domain names enlighten viewers rather than confuse them. The objective behind a domain name must be clear enough so as to make it a memorable brand and a traffic catcher simultaneously. Further, great domain names save you money, improve company culture, provide brand protection, encourage employees, inspire designers, increase brand value, command authority and save employee/customer time trying to spell. In the domain industry, we like to use the analogy of real estate to explain the value of domain names. The truth is, this only scratches the surface on the value and impact of the perfect domain name. Domain names are assets because of how they reinforce a brand’s positioning, marketing, and communication. Today your brand name is your domain name because by default it becomes how your customers find and interact with you online, communicate via email and how you talk to customers. Domain names are assets that impact the very DNA of your brand and marketing strategies. Domain names are unique assets capable of producing infinite revenue and the key to any business. Domains are our front door, our brand, our address, our identity, our information, our creativity, our future and more. Domains names are foundational assets that underpin the single largest economy on earth, the digital economy. Getting a great domain name is/was a unique opportunity in time. No other commodity in the history of mankind has ever gone up in value faster than a great domain name. No stock, no diamond, no gold, no land. 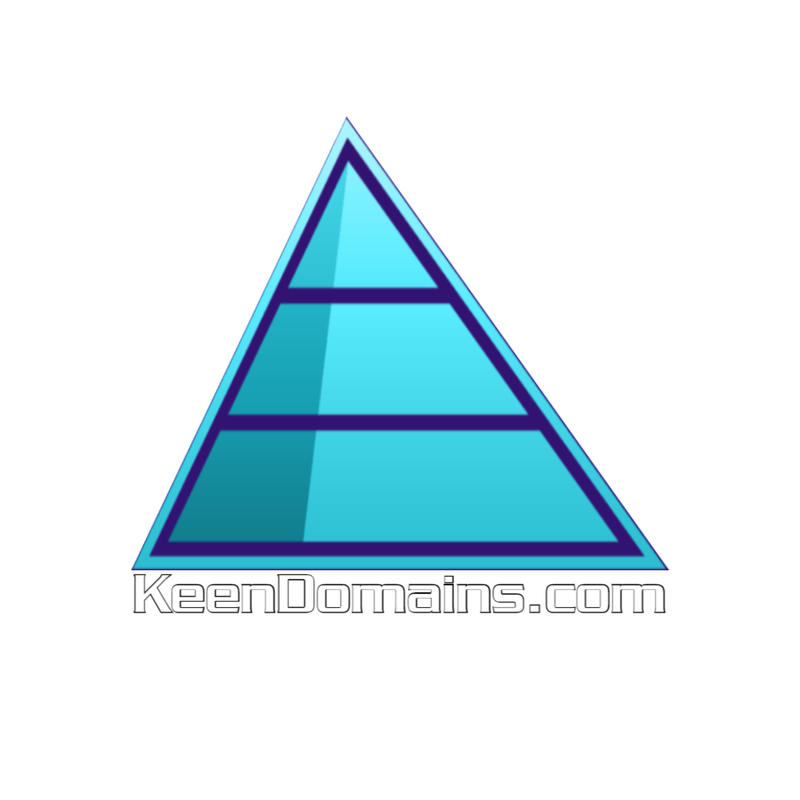 Domains happen to be a great long term investment. Just like land may have “mineral rights” such as oil, a great domain may also have mineral rights in the form of “type in traffic” via Internet users typing in your domain name into a search engine or directly into the browser navigation bar. Fuel runs an automobile, traffic is what fuels the net. The Internet and domain names specifically are the biggest franchise that the world has ever known. Great domain names have become the single most advertised item in history while the Internet has become the greatest sales medium in history. Your own Internet real estate. The Internet world is still fluid and a huge money maker can change in a blink of the eye. For example, Twitter terminated Vine which was a very popular short-form video sharing service. Corporations once utilized Vine as a medium for advertising their goods and services and abruptly the service was no more. Another example of lack of control on the internet would be Facebook. Advertising on Facebook has been proven to be a highly ineffective means of generating sales conversion with the majority of small business owners. Facebook sadly has become a political organization littered with bots, fake accounts, rising bureaucracy, privacy issues and is now too big for its own good. If a business is using Facebook or another popular social media company to promote their products they must consider if those tools will be as relevant in the future as they are today. This helps to demonstrate why it is critical that brands, companies and entrepreneurs have their own best version(s) of their domain name to be used as their primary outreach platform. Putting your livelihood in someone else’s hands is always a bad idea. Controlling your brand and your message on your own domain name is foundational to a sustainable business model. All roads lead back to Domain Names. Possess your own land and you have the highest degree of freedom. Build on someone else’s land and your judgement day will come, it’s only a matter of time. It’s hard to imagine the world without the Internet. Despite the Internet being ubiquitous as part of modern day life, half of U.S. small businesses amazingly still don’t have a Website for their company. No matter what type of business you run, if you have customers, it’s necessary to have some sort of information online, at least a page describing who you are and offering contact information. It’s essential to have this information indexed and shown on a Website to those looking for you as more than 80 percent of Americans say they do online research before making a purchase. Having an online presence is critical. Being on the Web makes a business easier to find, plain and simple. What is clear is that small businesses are beginning to realize that if they don’t fully engage online, they are at a competitive disadvantage. The overwhelming majority of businesses that have Websites know that their online platforms give them a major competitive advantage over businesses without Websites. All small businesses in every industry can benefit immensely from a Website, be it a single page or more elaborate setup. If your business doesn’t have a Website, it’s time to change that today. One way to understand the market for domain names is to look at the number of new businesses that are started each year. According to this article in Forbes there are over 500,000 new businesses started each month in the United States alone. If you look at Europe there are about 2.4 million new enterprises created yearly (based on 2014 statistics). When you include the entire global market for new businesses, this number is well into the millions of new business. This blog on the Wall Street Journal estimated there are between 22 million to 27 million active businesses in the USA. Why are we looking at these statistics? We are looking at the statistics because our world is now increasingly online and domain names are inseparable from branding and businesses. A very large percentage of these companies will purchase a domain name to support their business. Each of them will have different needs however they will want to own their brand name online. Many brands also own multiple domains to support their brand and marketing efforts. This global demand for domain names continues to increase while the supply of quality domains is fixed. This classic supply and demand matrix shows why premium domain names will continue to increase in value. Domain valuation is impacted by the number of new businesses needing to position themselves in the marketplace. Having your own domain name makes your company look professional. If you publish your site through an ISP or a free Web hosting site, you’ll end up with a URL such as yourisp.com/yourbusiness. This generic address does not inspire confidence in a customer like a yourcompany.com domain name does. And since some people still don’t yet trust the Internet and e-commerce, you’ll want to do what you can to prove that your small business deserves their money. If you’re not willing to pay the money to register an appropriate domain name, why would consumers think you’d put any effort into creating valuable products or services? Owning your own domain name lets you take that name with you if you transfer Web hosts or switch to your own in-house server. If you don’t own your domain name, you’ll have to take a new URL, which will destroy the branding that you built up with your first address. If you decide to register a domain name that matches the concept of your business (instead of your exact business name), you might draw Web surfers in search of that topic. For instance, a hardware store that registered Hammers.com might get visitors looking for hammers on the Internet. Also, although search engine results are hard to predict, Hammers.com could show up more frequently in search results when someone searches for information about hammers. The bottom line is that a solid domain name can go a long way toward generating traffic to your Website and building your reputation. That, in turn, will result in more customers and better sales.